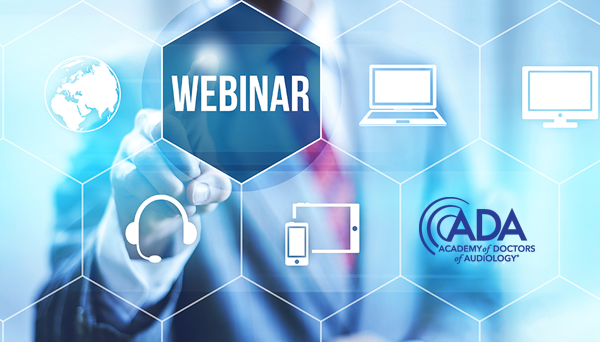 The Audiology Project is proud to offer our Continuing Education Webinar Series! Introducing the NEW 2019 Webinar Schedule! Jointly provided by Postgraduate Institute for Medicine and The Audiology Project. Please join us for a unique series in IPE/IPC Diabetes Care! FREE CEU’s offered to each profession for a total of 6 hrs. Abstract: This presentation will deal with some of the dental issues experienced by people living with diabetes, as well as how dentists will be collaborating with the other healthcare professionals involved in the care of people with this chronic disease. Suggestions will be made as to how dental healthcare professionals, and all of the other healthcare professionals, can and should improve their communication, and collaboration. Upcoming! Stay tuned for more information! Check out our upcoming events, webinar schedule, and so much more!